Under New Jersey motor vehicle law, possession of small amounts of drugs (Controlled Dangerous Substances or CDS) can have serious consequences. These include jail time, license suspension, and hefty fines. Fortunately, New Jersey offers a one-time program for the first offender called a Conditional Discharge. When is a Conditional Discharge Available? You have not previously received supervisory treatment under a Conditional Discharge. If you meet these requirements, a traffic court judge can suspend the proceedings against you and “place [you] under supervisory treatment upon such reasonable terms and conditions as it may require” (this often means random drug testing) either with or without a guilty plea to the offense or a finding of guilt. Once the period of supervision (often no more than 6 months) is completed without incident (you have not been convicted of any new offenses or violates any of the terms of the program, such as the random drug testing), the drug charge is dismissed. 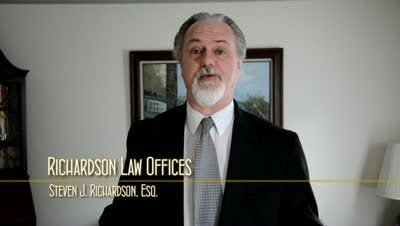 If you violate any of the terms, however, a judgment of conviction is entered (if there was a guilty plea or finding of guilt) or the matter is reopened and given a new trial date (if there was no guilty plea or finding of guilt). Why You Don't Want to Plead Guilty! This is understood to be the case “if the suspension of the person's driving privileges will result in extreme hardship and alternative means of transportation are not available.” If there is no guilty plea of finding of guilt, there is no suspension. This is a great option to address a one-time mistake by a person who has otherwise been a law-abiding citizen. If you live in southern New Jersey and find yourself in a situation such as this, please feel free to call my office at 856-432-4113 or contact me through this site to schedule an appointment for a free consultation in my Woodbury office. What are the penalties for drug possession in New Jersey? Can I expunge a drug conviction? Can I expunge a conditional discharge?